When it comes to insurance med pay is a term that gets thrown around a lot, but I’ve found that a lot of people aren’t really sure what it is. Med pay refers to medical payments coverage, and it’s generally bought alongside car insurance. 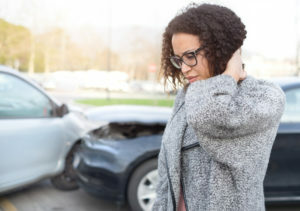 It’s a very catch-all kind of insurance that covers a wide range of injuries that you could get if you were to be involved in a car accident. When you purchase med pay, the insurance company agrees to pay reasonable expenses for the necessary medical treatment you receive as the result of your accident. This basically means that they’re going to cover your accident-related injuries as long as you don’t send them an unreasonably high bill. They’ll look at the cost of similar procedures in the area where you received treatment to determine whether or not the cost of your procedures is unusually high. As with many other kinds of insurance, there is a limit to how late you can make your claim. In the case of med pay, you have three years from the date of your accident to make your claim. Med pay can also cover more than one family member, and it doesn’t matter whether they’re driving, a passenger, or a pedestrian who’s been struck by a vehicle. If you’re wondering how much med pay insurance costs, the answer varies on how much coverage you want. Some plans can be as cheap as $500 while others could be a $1 million, if you wanted to spend that money. If you’ve been injured in an accident, don’t go it alone. Work with an experienced attorney who has the experience to protect your rights. Give Oxner + Permar a call for a free consultation.